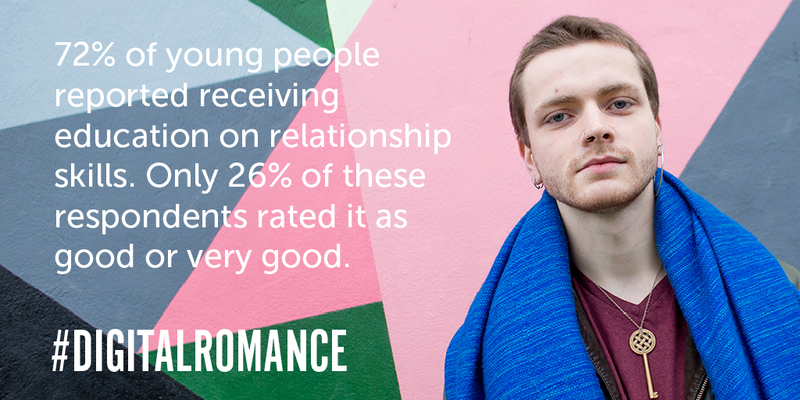 Digital Romance was led by researchers Dr Ester McGeeney (Brook) and Dr Elly Hanson (NCA-CEOP), the research took place between January and May 2017 and used a mixed methods approach involving an online survey, in person focus groups and one-to-one interviews. The project was motivated by the desire to evolve online safety education by providing an in-depth insight into young people’s views and experiences. Much of the focus of online safety work has been narrow – exploring the risks of online communication such as the unsafe sharing of personal details, the loss of control of material (especially images), and the facilitation of abusive and bullying behaviours. Research does not always recognise the positive role of digital technology in young people’s lives and the complicated ways in which young people experience and negotiate risk. The report hopes that a deeper understanding of the positives as well as risks will enable all agencies to deliver relevant, nuanced education that speaks to young people’s day to day experiences.